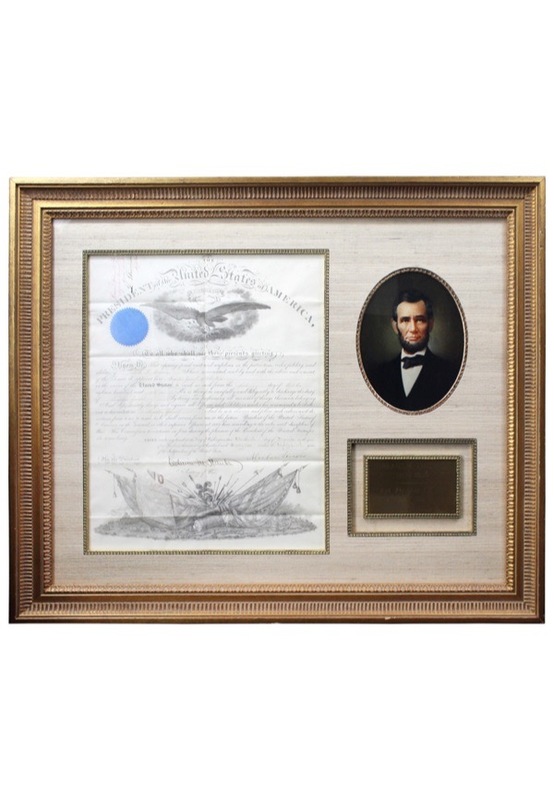 On October 1st 1861 President Abraham Lincoln appointed an individual as “Brigadier General of Volunteers” in the service of the United States.This framed approximately 30x25 inch document has been signed by the President with his full name “Abraham Lincoln” in black ink that has remained in tremendous EX-MT condition over time. Lincoln’s Secretary of the War Edwin M. Stanton also signed to the left of the President on the appropriate line and presents well. The top of the document reads “THE PRESIDENT of the United States of America” with the appropriate blue United States War seal. 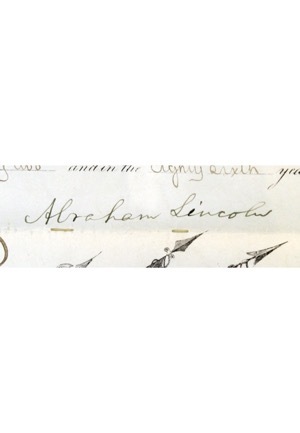 There is light creasing but does not interfere with the beautiful Lincoln signature. 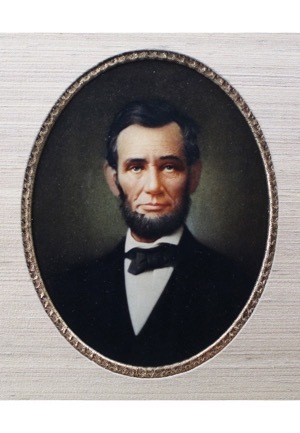 The framed piece also includes a picture of Lincoln with an accompanying nameplate reading “16th President Of The United States 1861-1865”. This vintage document has not faded and presents fantastically. Accompanied by a Full LOA from JSA.